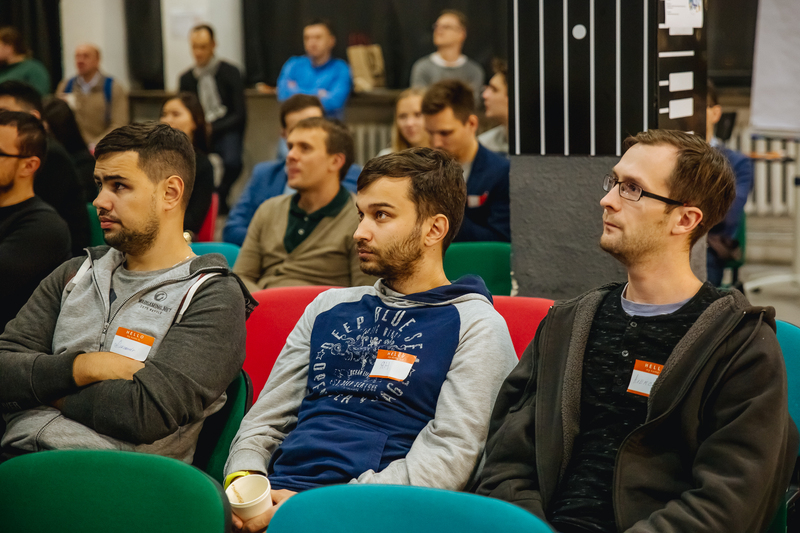 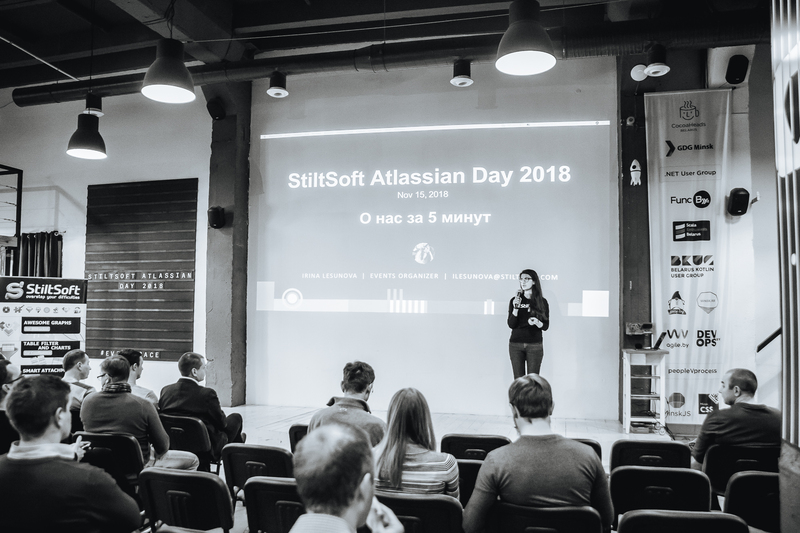 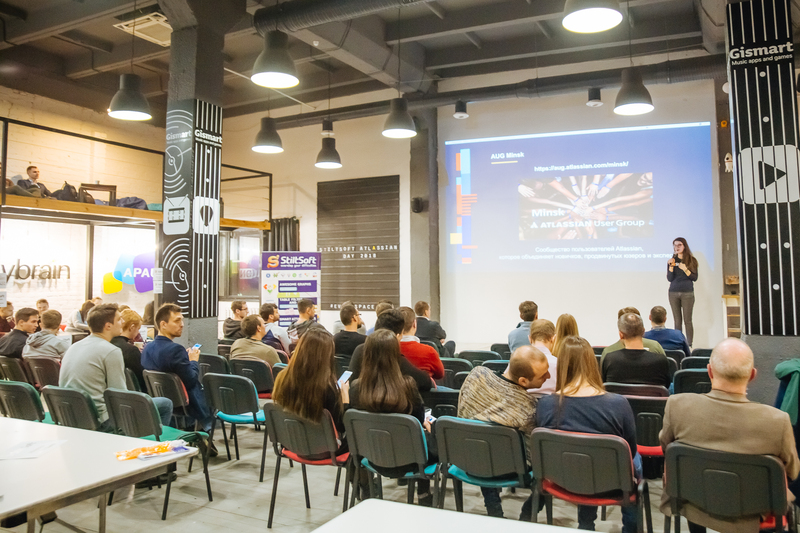 Last year, almost 70 Belarusian users visited our first StiltSoft Atlassian Day to learn more about Atlassian and its products. 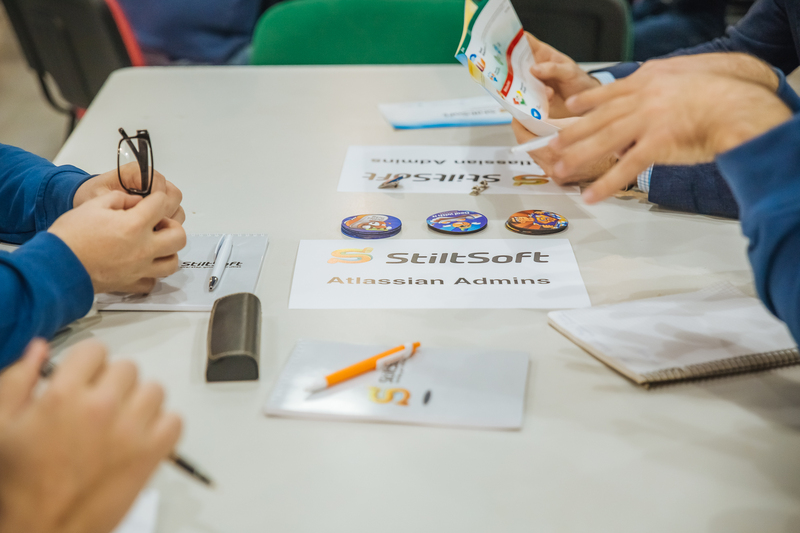 Last Thursday, we were thrilled to host a group of enthusiastic and like-minded people for our second StiltSoft Atlassian Day. 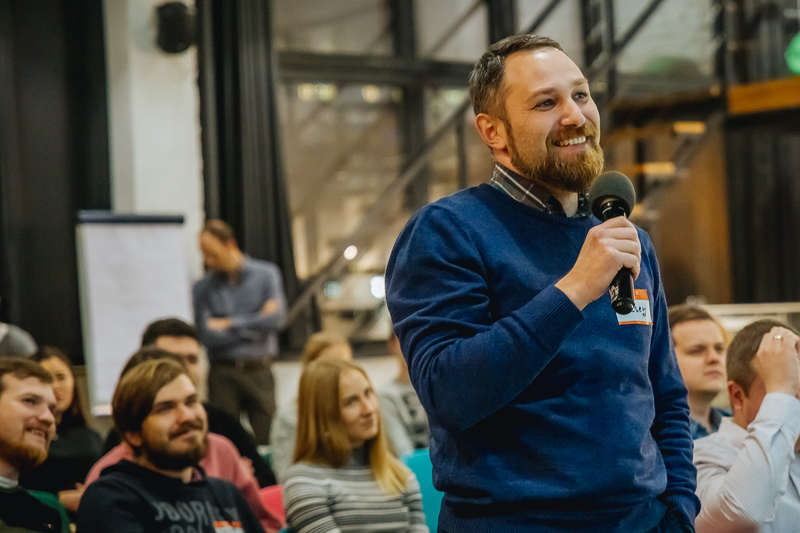 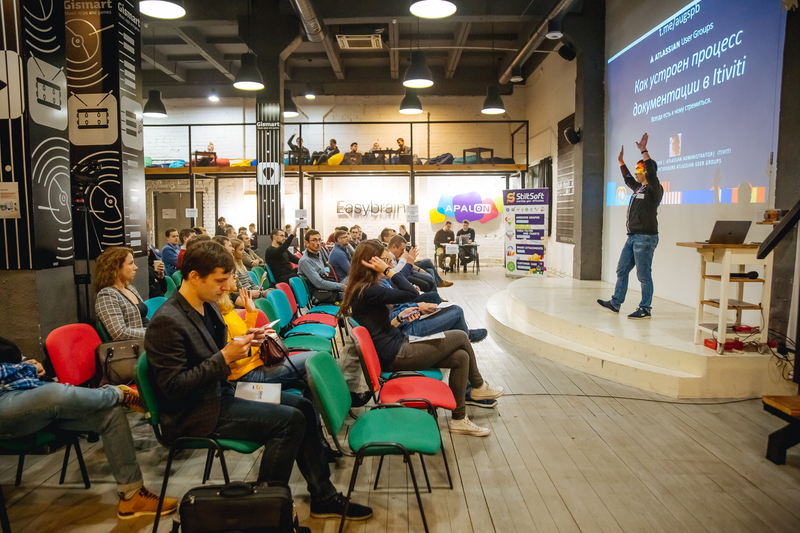 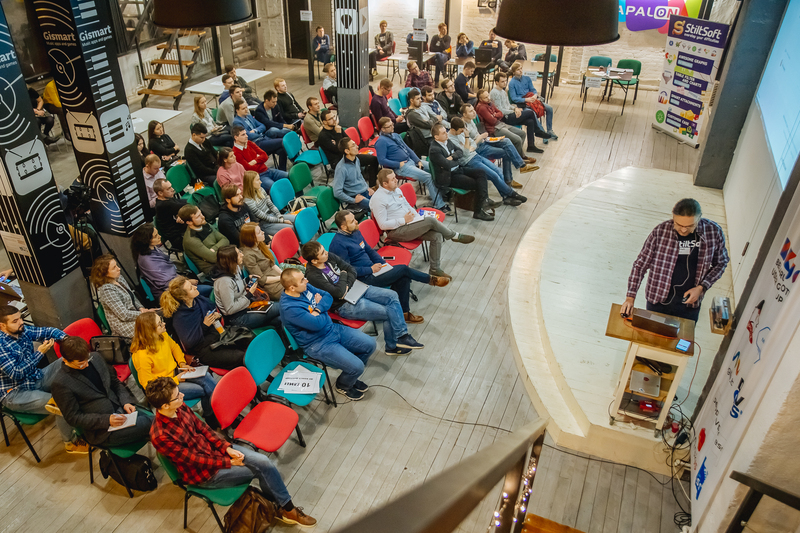 This time almost 100 people joined us in Minsk to discover the latest best-of-breed solutions Atlassian offers its users. 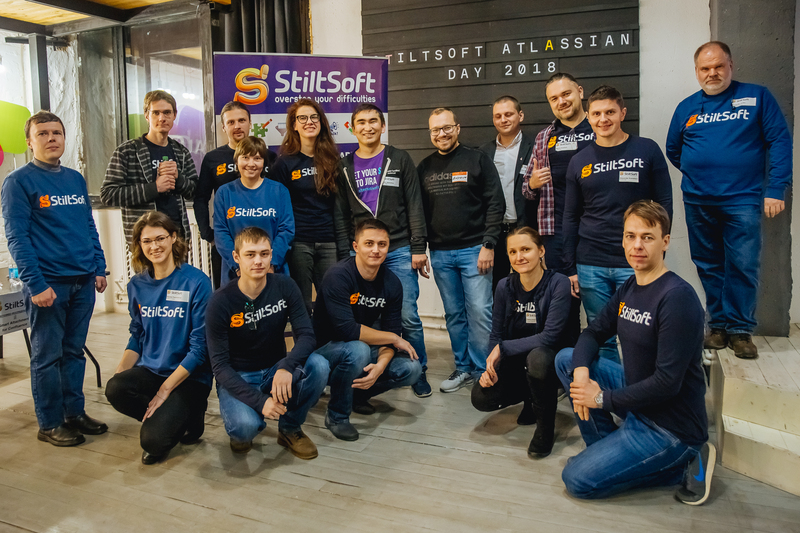 StiltSoft is the only certified Atlassian Solution Partner and Atlassian Platinum Top Vendor in Belarus. 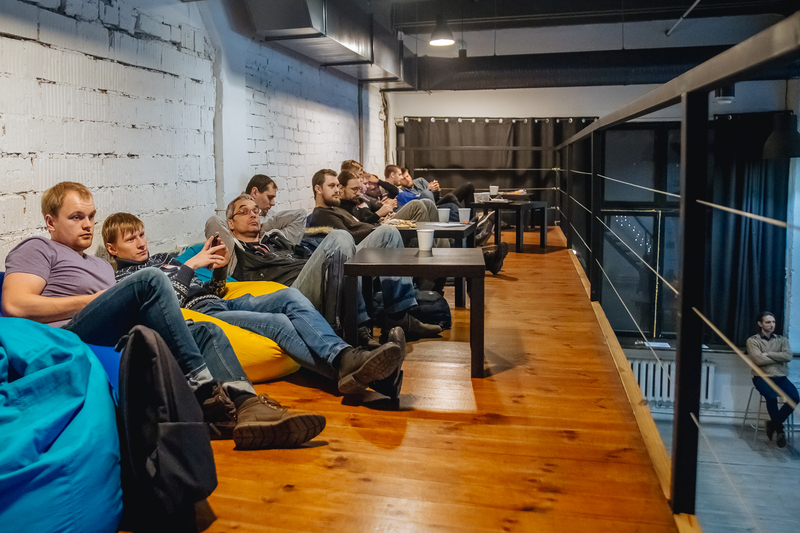 Our primary focus is app development. 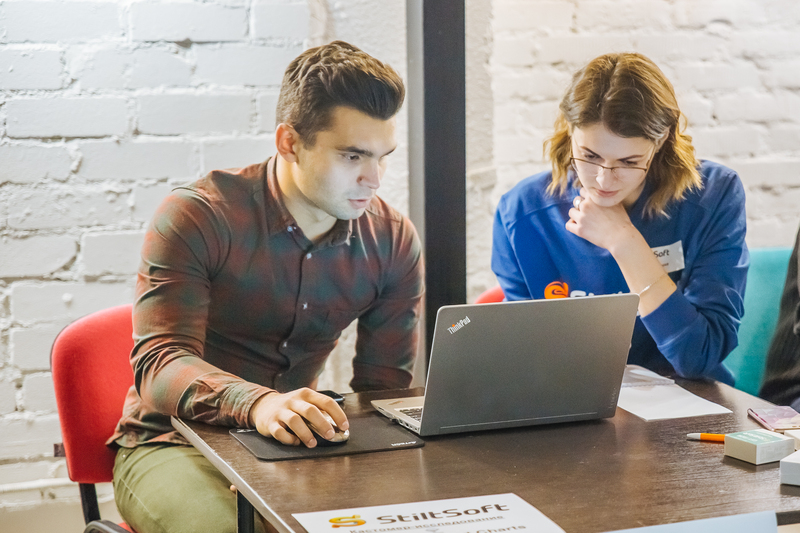 However, we also do our best to build solid relationships with Atlassian users in our country and create a community to help people share their experience and find solutions to their challenges. 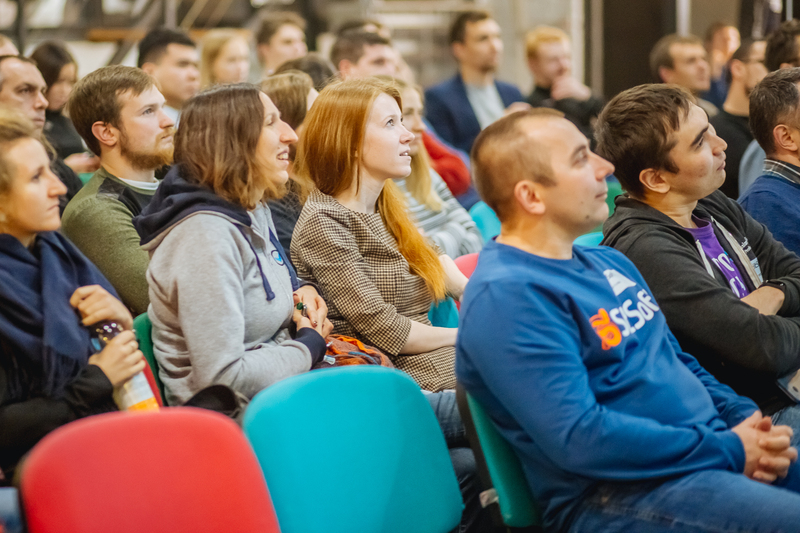 So our mission is to equip the attendees of our events with the skills and knowledge they need to be confident and effective users of Atlassian products. 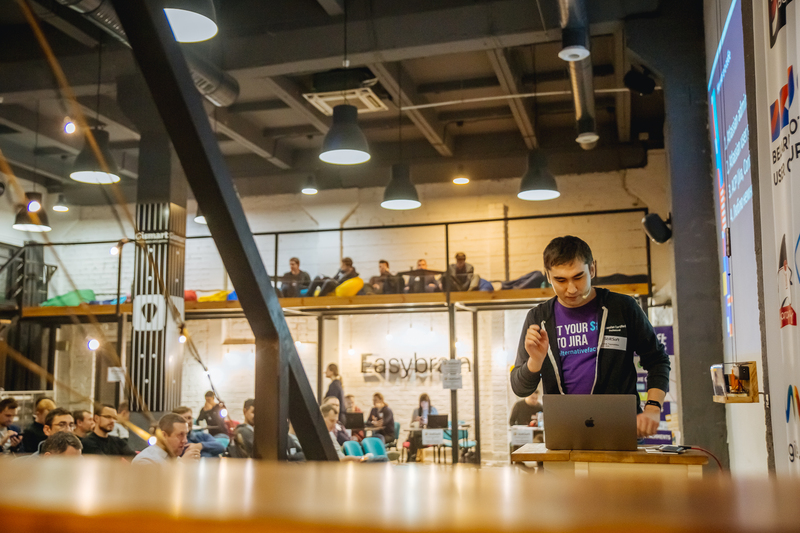 Of course, hosting a live event is a great way to do this and it so worth all the effort! 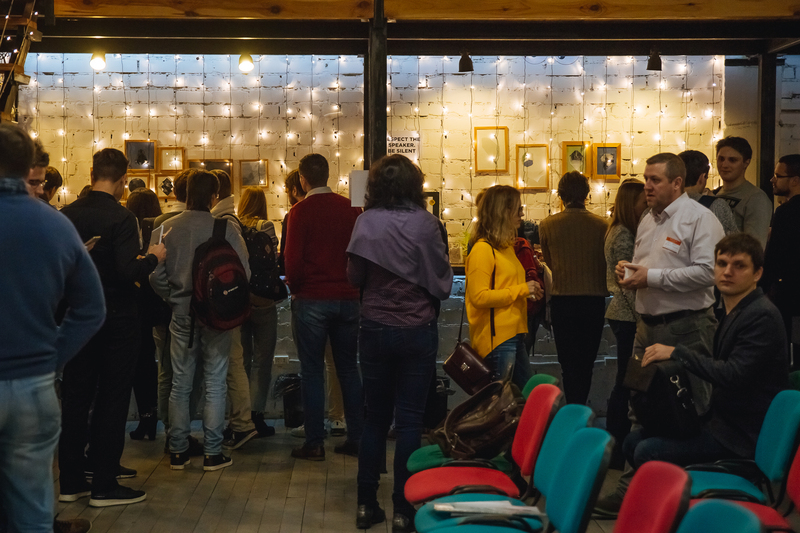 There’s nothing like the energy of people meeting face to face. 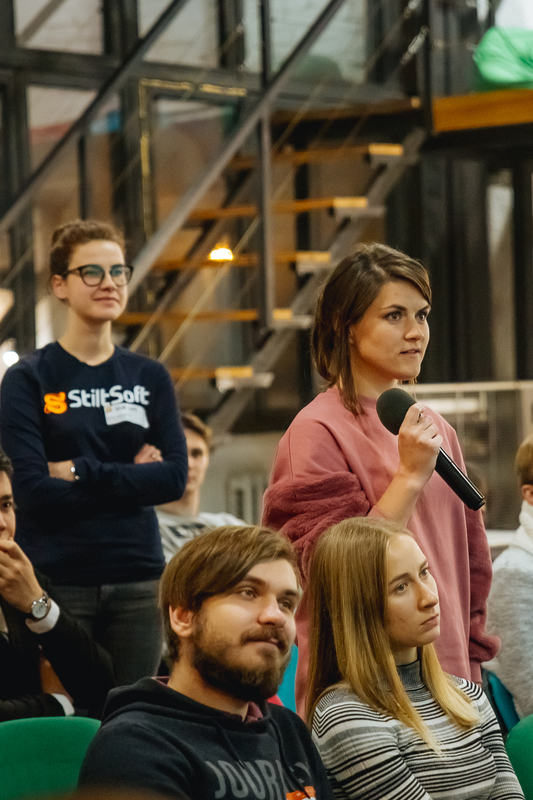 So we wanted to break the ice at the start and help our attendees make great conversations and new connections during the first hour of our event. 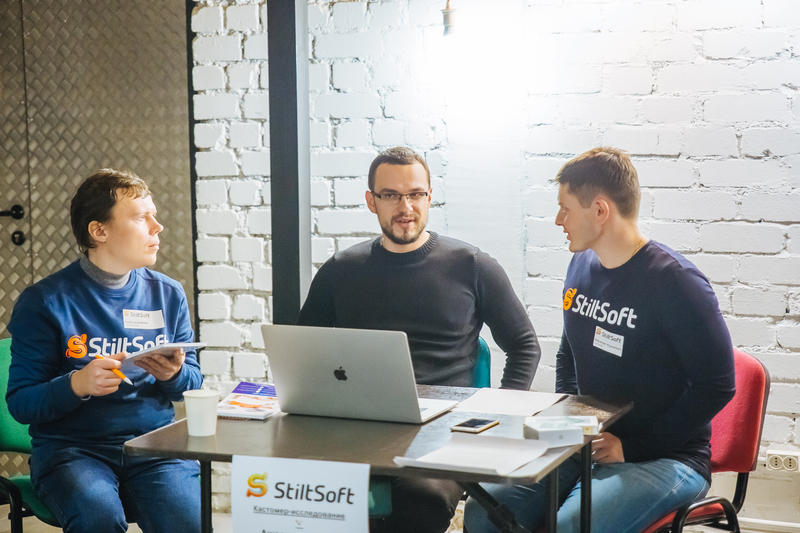 Everyone could join one of the three tables to chat with the members of our team: Atlassian Admins, Atlassian Users, Atlassian Power Users. 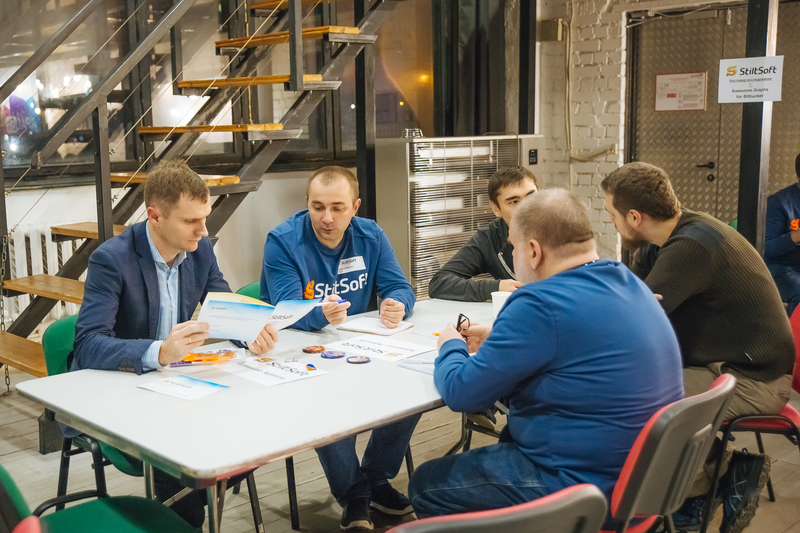 The participants asked us questions, told their table members about how they work with Atlassian products and described the challenges they face at work. 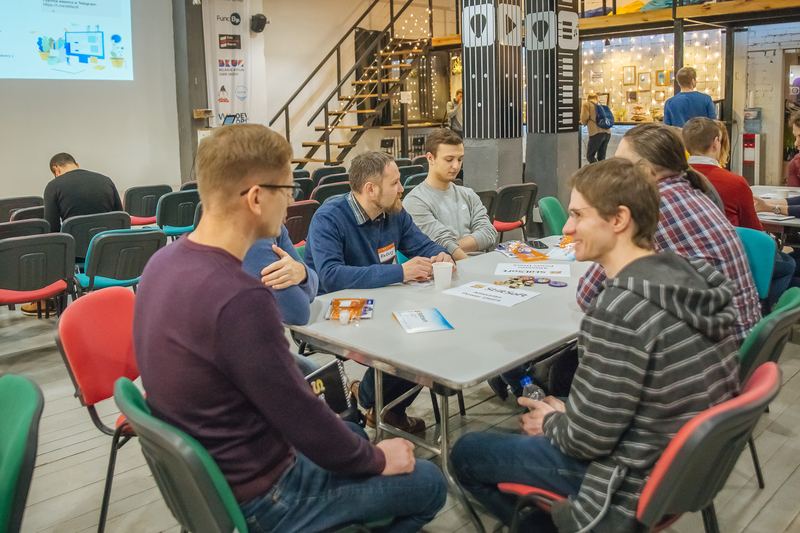 This networking hour helped our attendees relax a bit, grab some pizza and have a chat about things that matter to them. 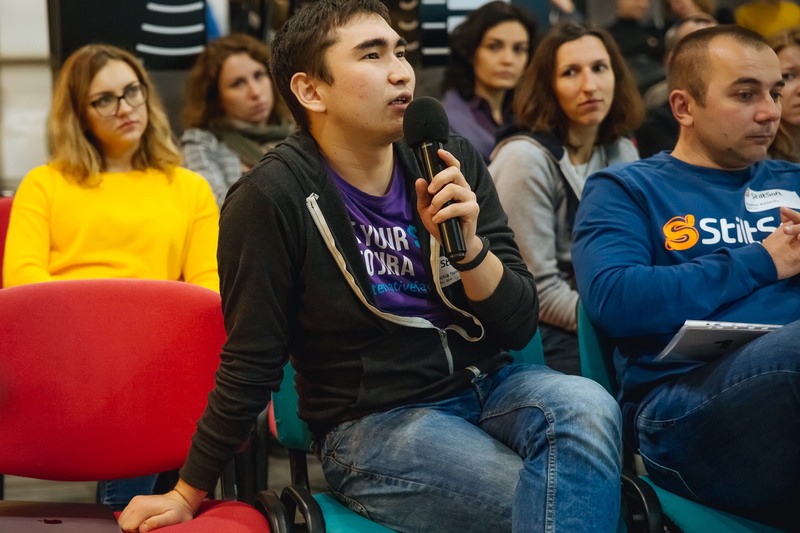 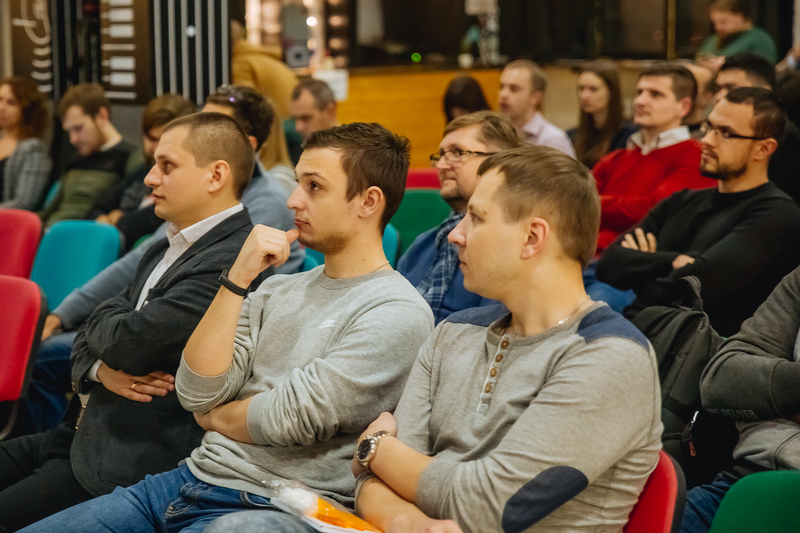 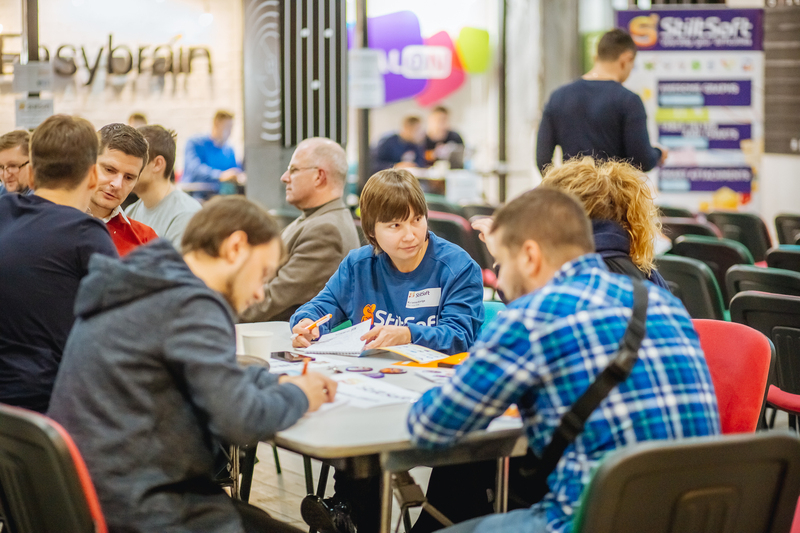 It was also very helpful for us and we will definitely use the information we get from all the people to make our future events more useful highlighting the topics Belarusian users are interested in most. 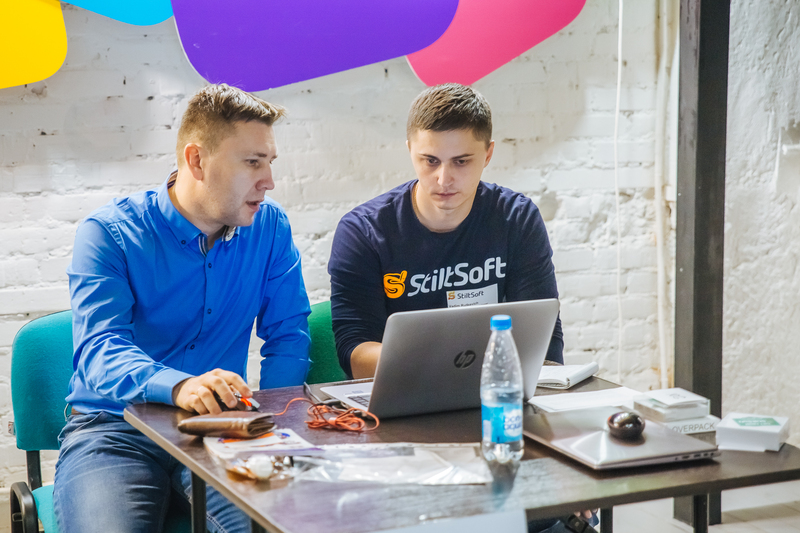 Meanwhile, our product owners had a great opportunity to get feedback about our apps from people who have never used them before. 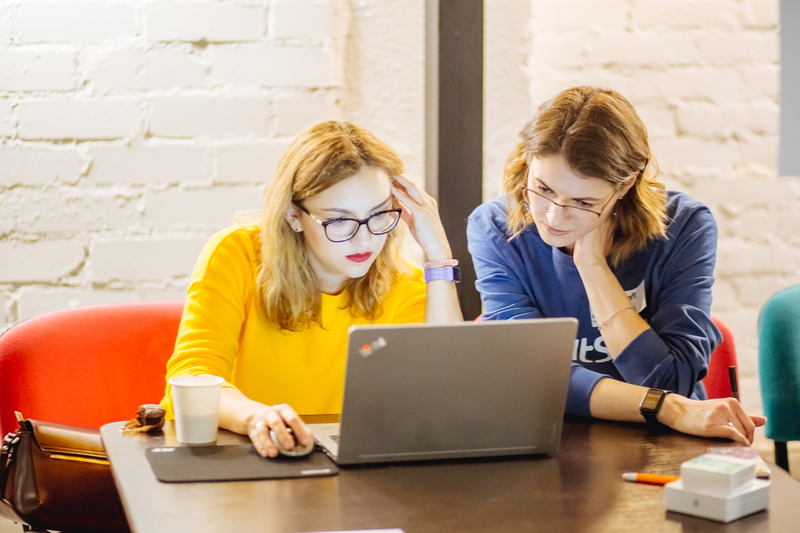 We have chosen our best sellers Awesome Graphs for Bitbucket, Table Filter and Charts for Confluence, Courses and Quizzes – LMS for Confluence, and, our brand new app, Smart Attachments for Confluence. 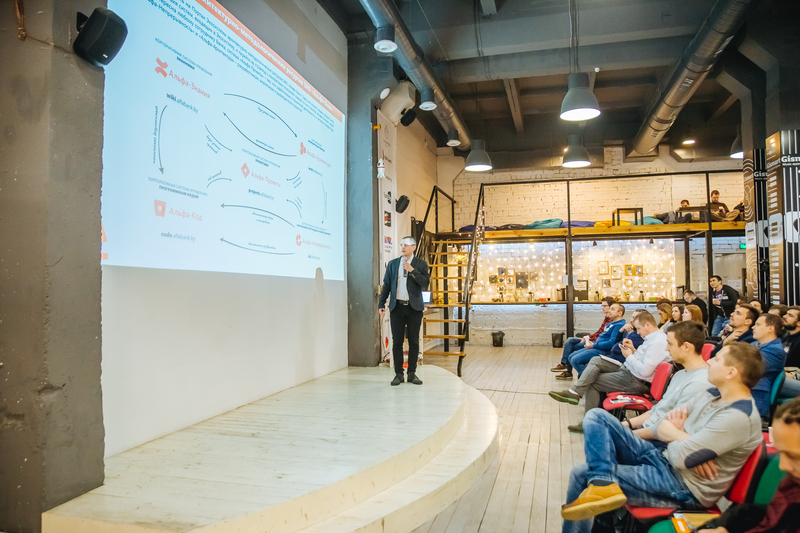 It was a great experience for us because we had a chance to get some helpful insights and see our products through the eyes of other people. 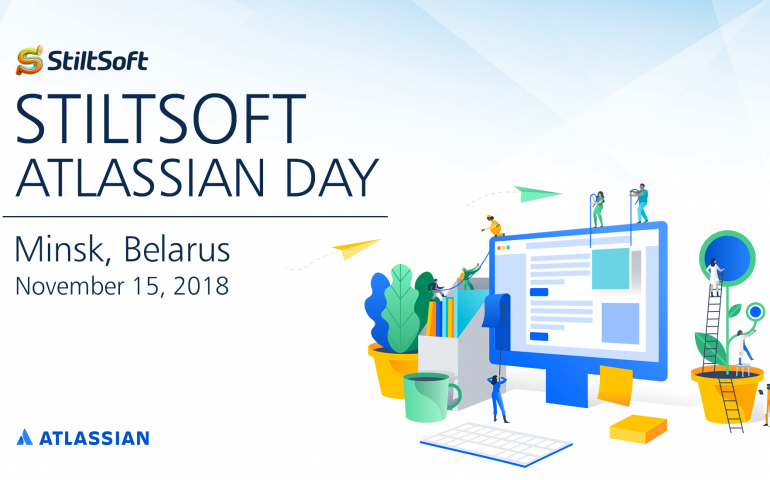 We became Atlassian Platinum Top Vendor. 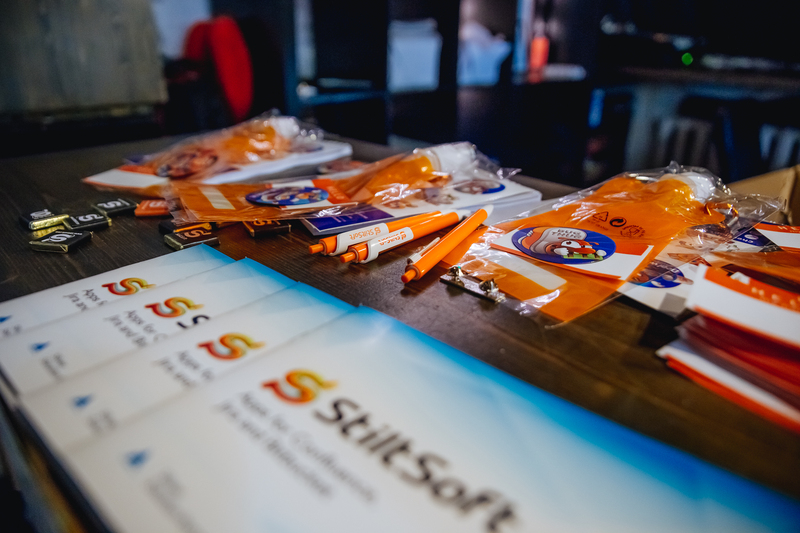 The StiltSoft team welcomed 6 new people. 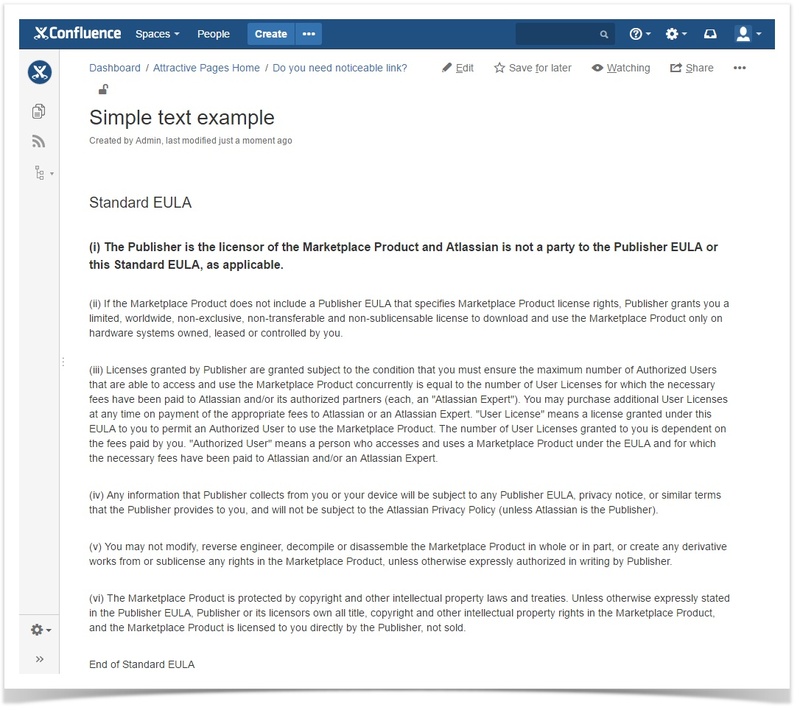 We released 4 brand new apps for Confluence. 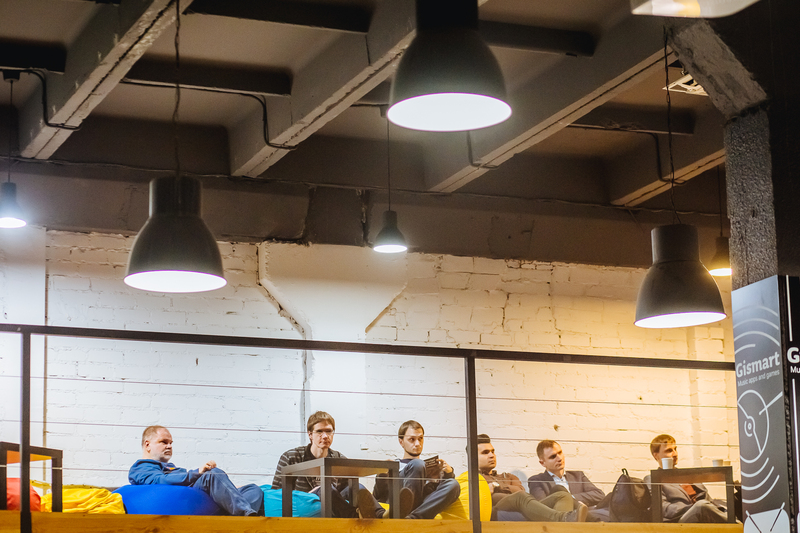 The most popular apps of ours are available for Data Center. 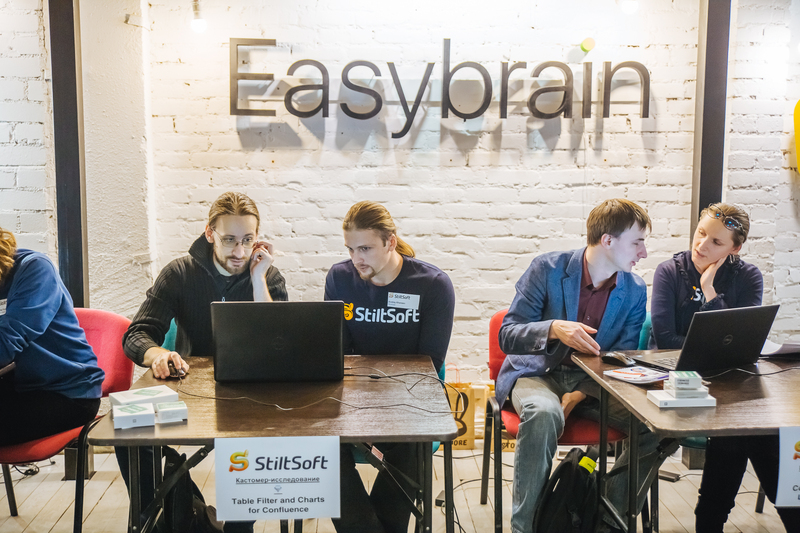 More and more customers all over the globe trust StiltSoft. 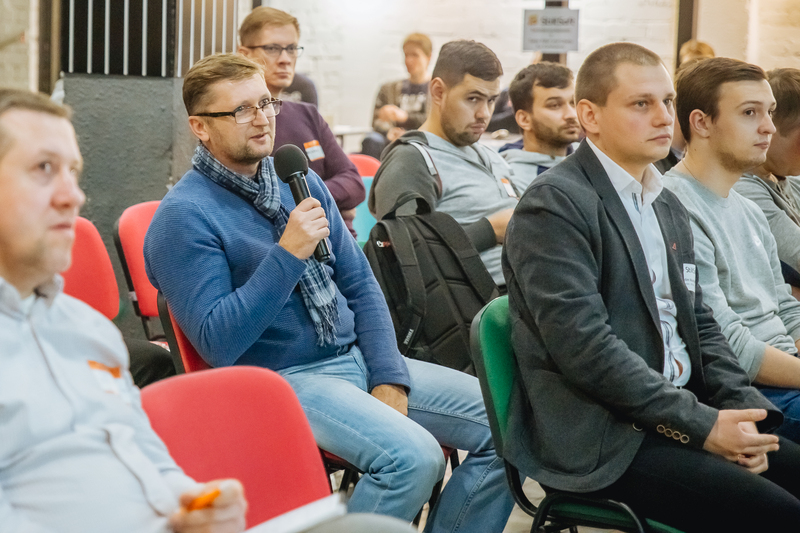 Now Belarusian users can share their knowledge in AUG Minsk. 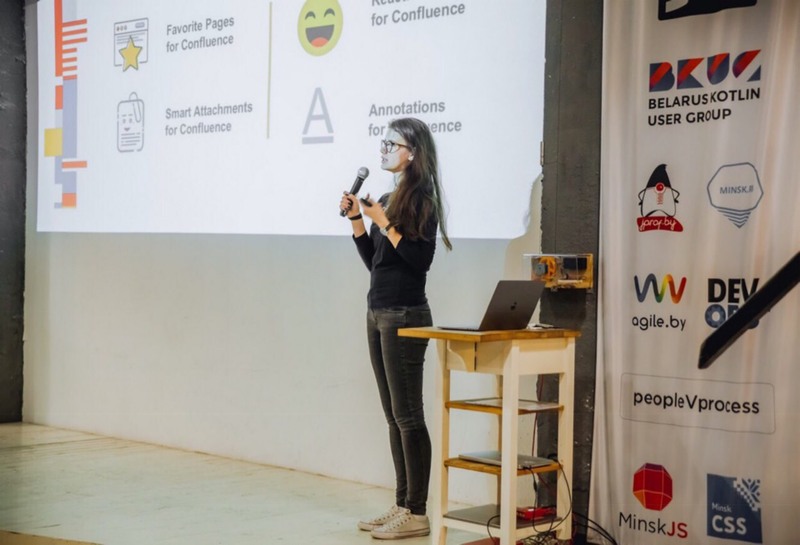 We also prepared three user-friendly presentations to show the participants how Atlassian products help other companies boost their productivity. 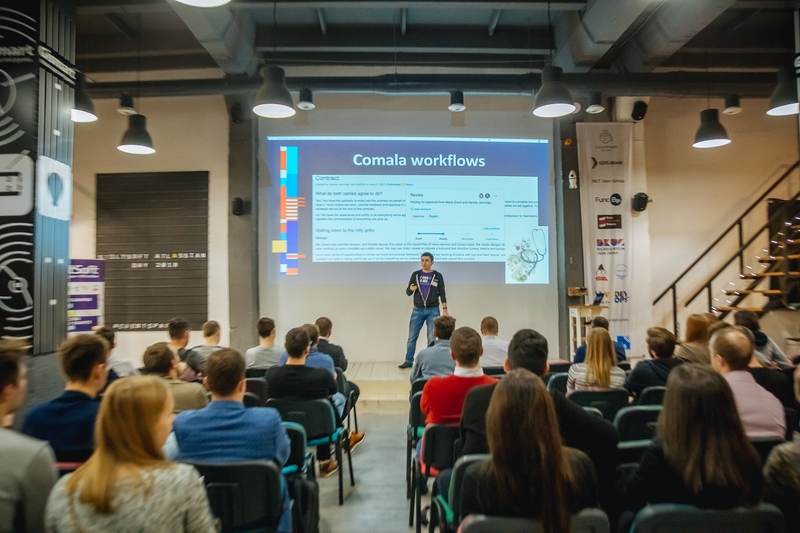 Gonchik Tsymzhitov, an Atlassian Administrator at Itiviti, showed us how their company synchronizes their documentation with Confluence installations of their clients using Bamboo and Bitbucket. 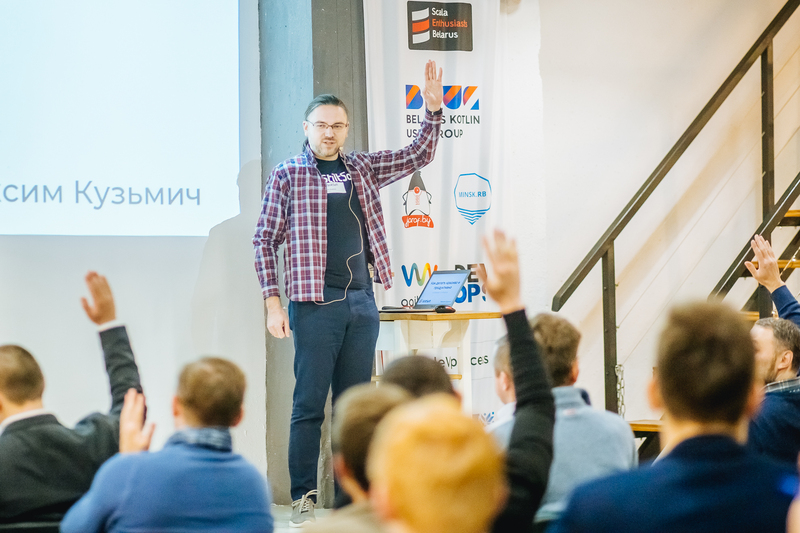 Maxim Kuzmich, a StiltSoft co-founder, demonstrated the attendees useful hacks and tricks that can help you create appealing and more digestible Confluence pages using native Confluence macros. 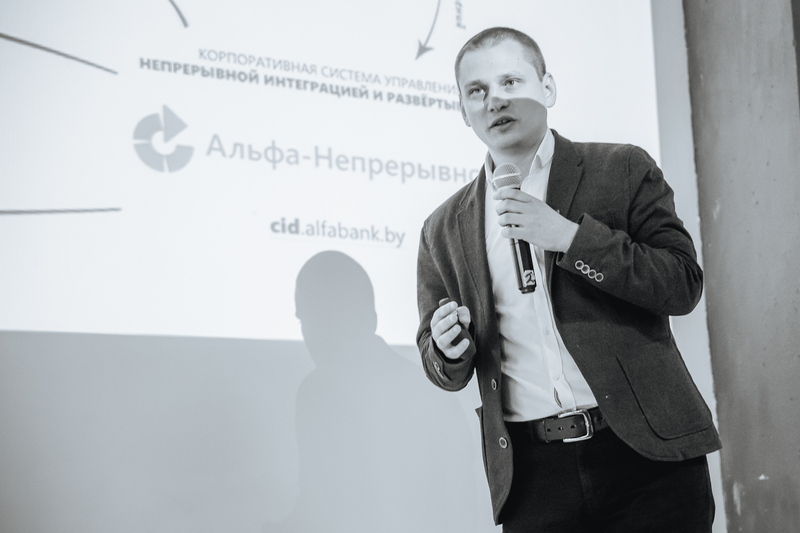 Vadim Mustyatsa, a Practitioner Agile Analyst & Architect at Alfa-Bank and a co-leader of AUG Minsk, was our last invited speaker. 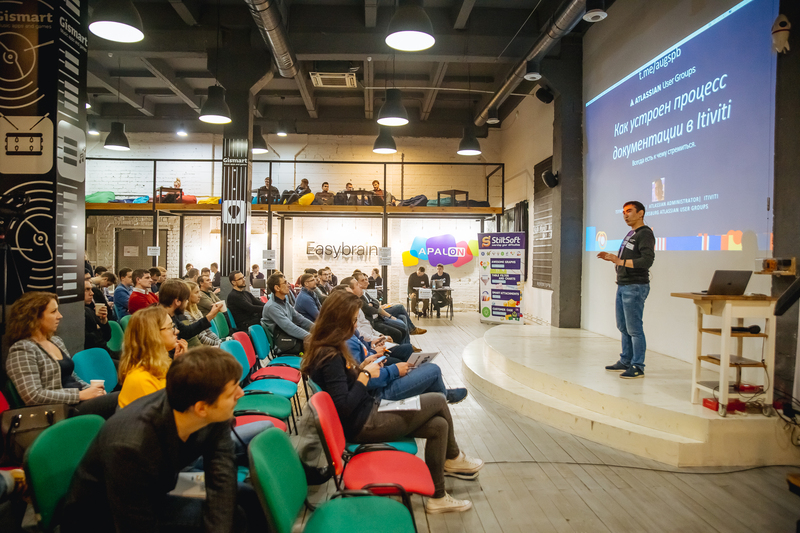 He talked about how their organization uses Atlassian products. 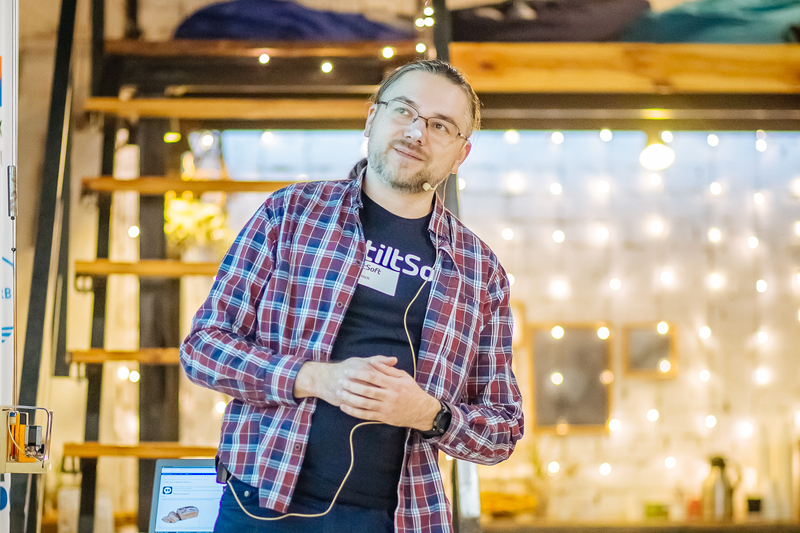 Vadim showed us that every large company has its own way of implementing Atlassian products at an enterprise scale. 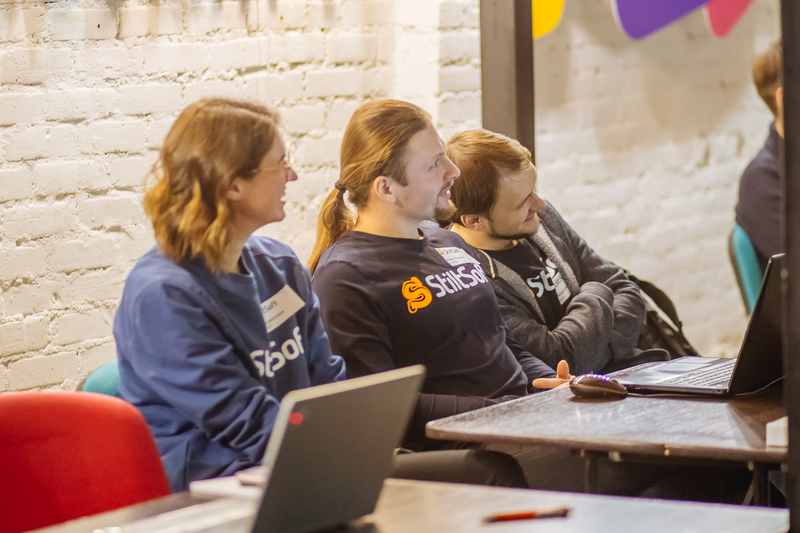 We got a lot of in-person feedback from the attendees who approached us after the event. 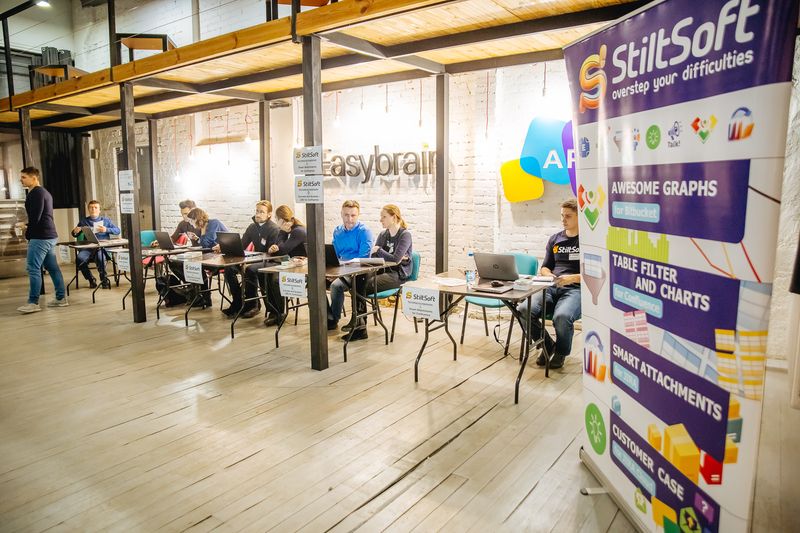 Overall, the feedback we received was positive. 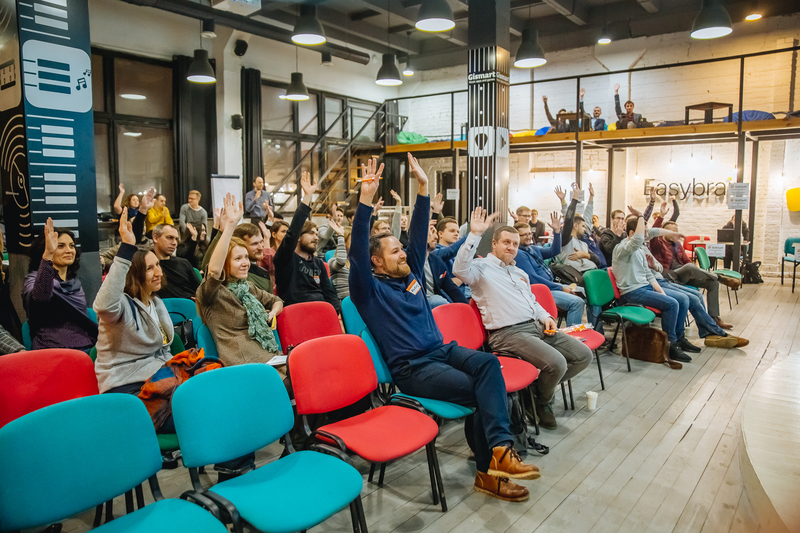 Most people said they would come back when we announce our next conference. 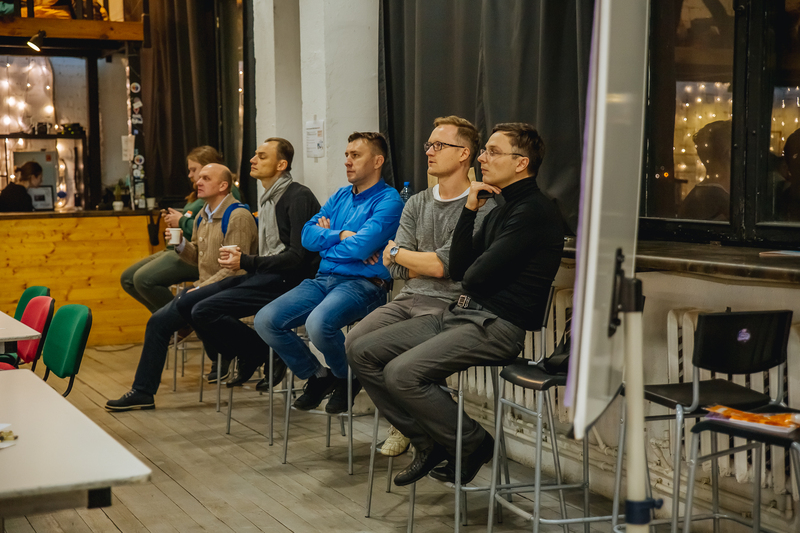 Many thanks to all our speakers who prepared interesting topics and shared their thoughts with the audience and to all the people who attended the event! 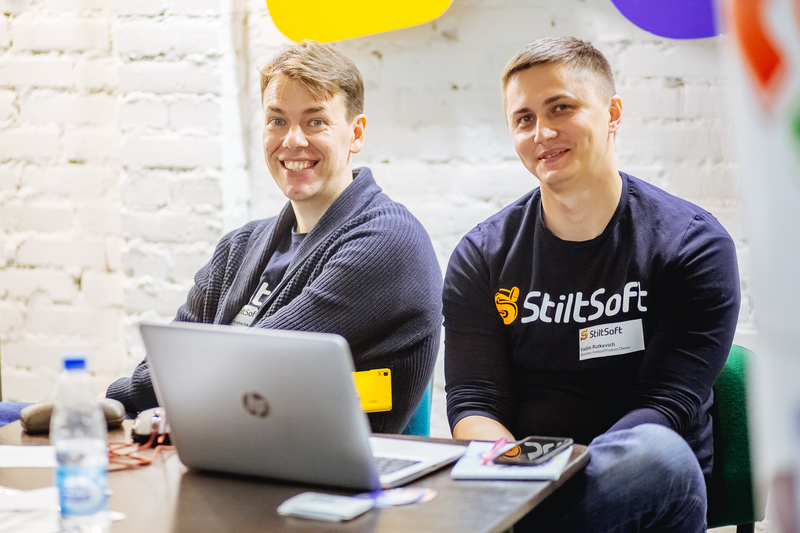 We also want to thank our team who encouraged the participants smile and feel comfortable during our StiltSoft Atlassian Day. 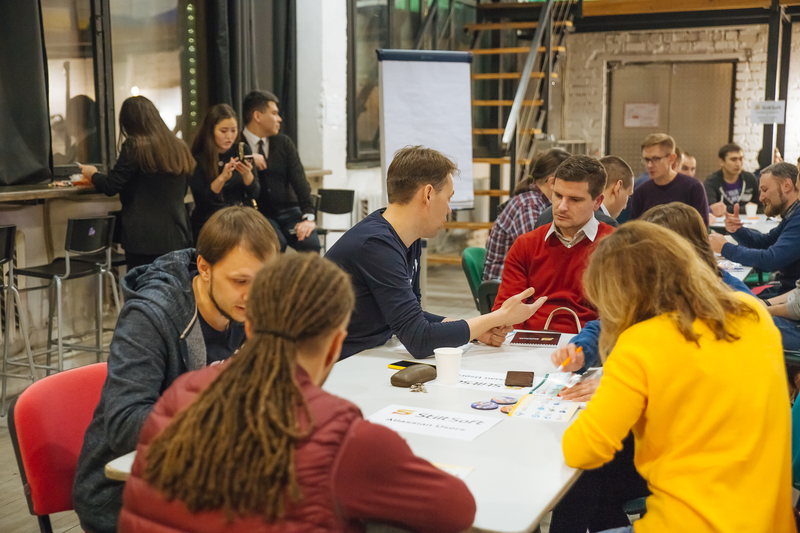 It was great that everyone was on the same page that helped us create a warm and friendly atmosphere. 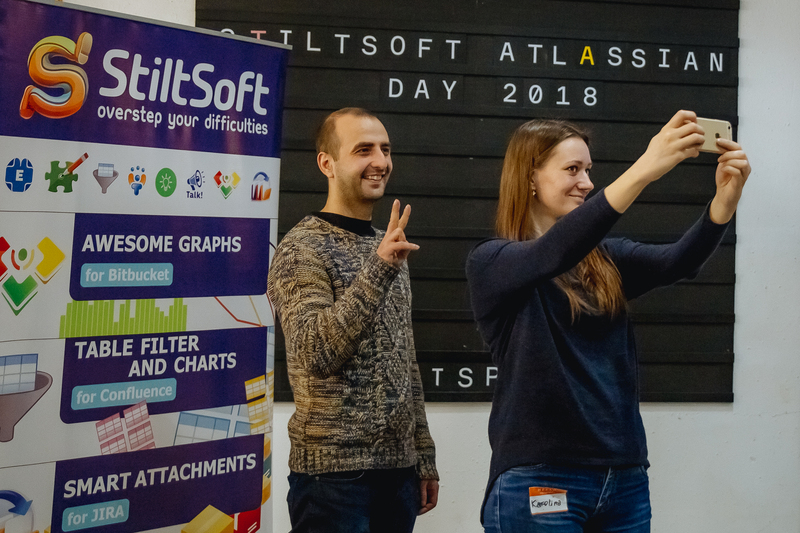 StiltSoft Atlassian Day is a fun and rewarding journey for our team and now we have a ton of ideas for the next event!